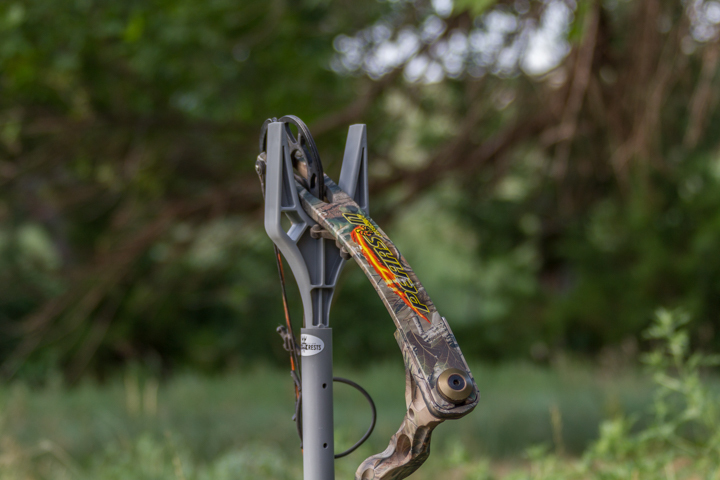 The SRB Bow Hanger will keep your bow safe and ready at all times in the field or on the range completely off the ground! 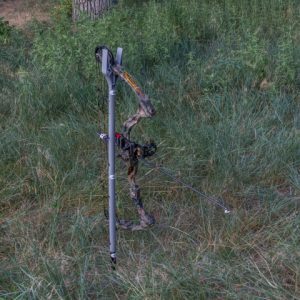 Bow hunting in the ground blinds for all species of game from elk to turkeys! 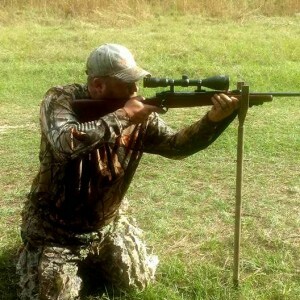 A steady shooting rest for shotgun, rifle or crossbow in the ground blind or sitting on the ground with one extension being used. 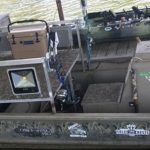 An awesome fishing pole holder when bank fishing. 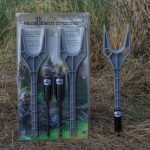 This set includes 1 durable molded plastic rest, 1 18″ extension with a spike inserted into the bottom for installing into the ground with thumb set screw to adjust rest height, 1 18″ extension with adapter to insert into bottom ext. and thumb set screw into place, 1 durable plastic rest to insert into top ext. 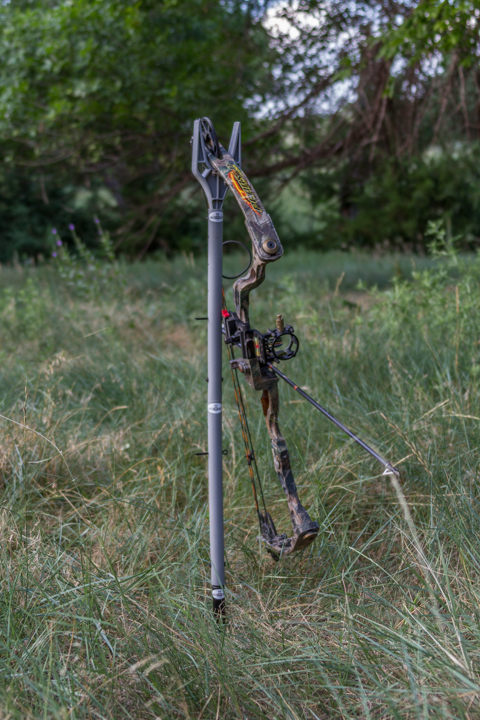 and adjust height from 39″ to 44″ with thumb set screw to keep your bow completely off the ground at all times. 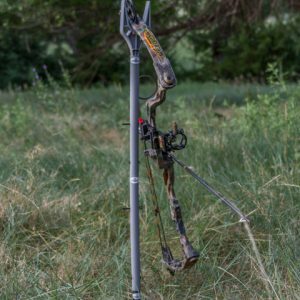 Also works great for a shooting rest in the blind for your guns. 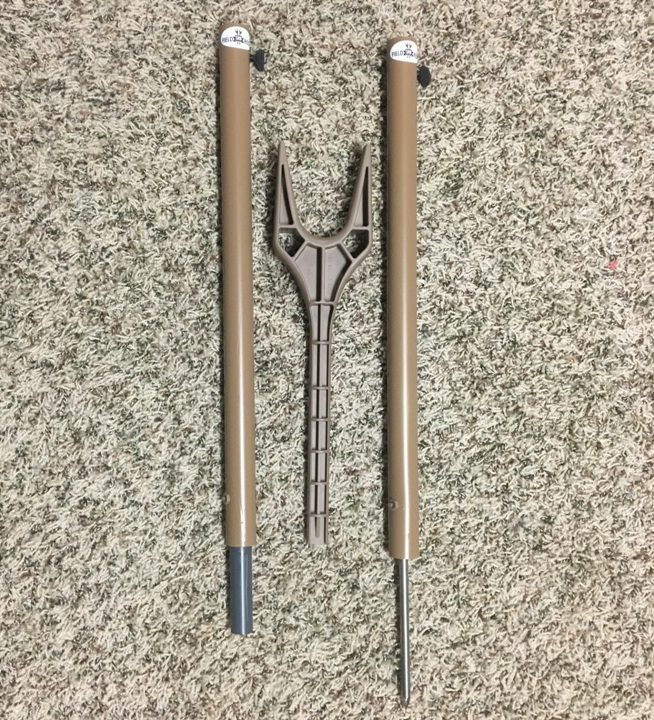 The 2 piece extension is easy to pack. 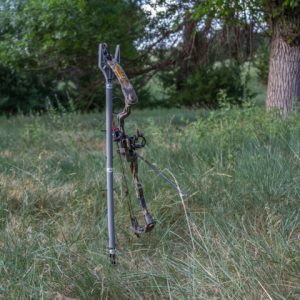 Use the extension with the spike and the rest for hunting turkeys sitting on the ground. 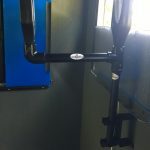 This rest will adjust from 22″ to 27″ with thumb set screw from the ground for an awesome gun rest. 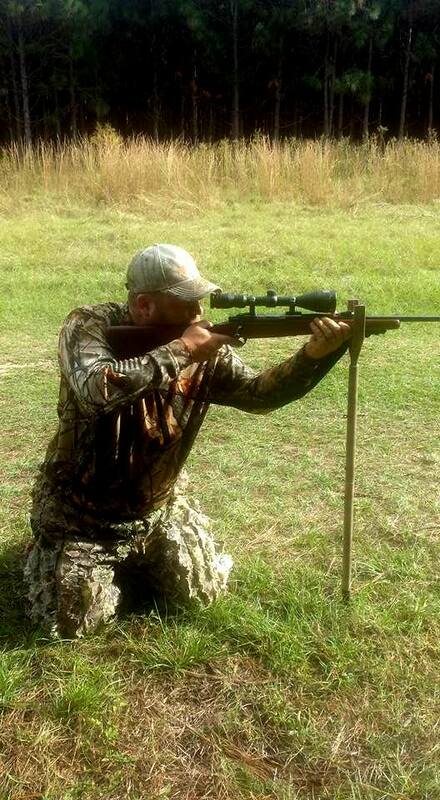 SRB Field Rests are a very important tool in my hunting arsenal. 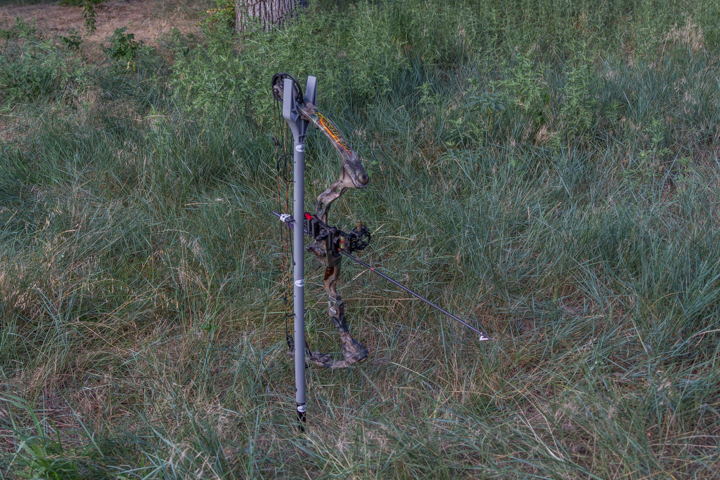 My equipment always stays clean, and is ready to do business every time I am in the field. I don’t leave home without my field rests. 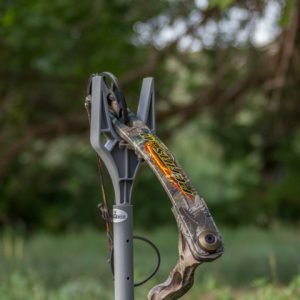 From gun rests to archery rests they have you covered…. Definitely a must have product. 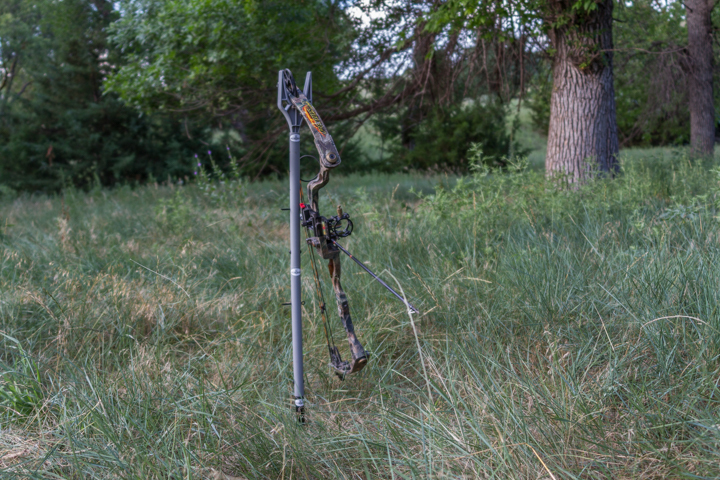 This product has many uses, from fishing pole holder to bow holder when in blind. 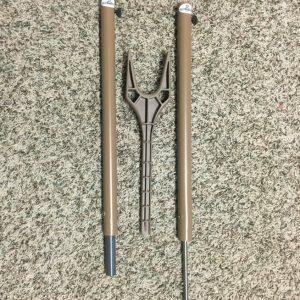 Get 2 and hold a weapon up ready to use in the blind or on the target range as well. Makes a excellent gun rest for ground hunting. limits are endless what these can be used for. 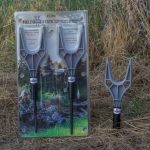 Solid product and a great investment when you spend time in the outdoors.